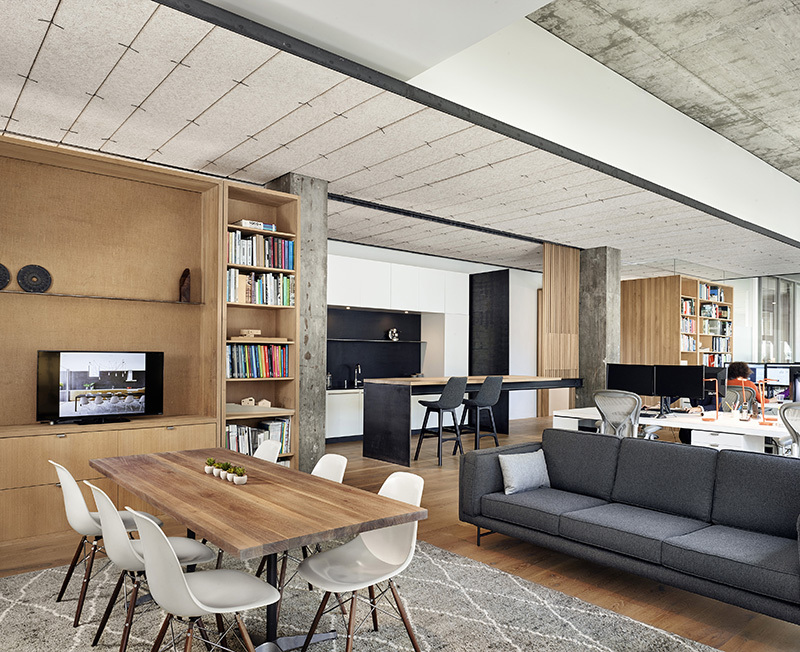 What kinds of interiors are among the finest produced today by architectural firms? 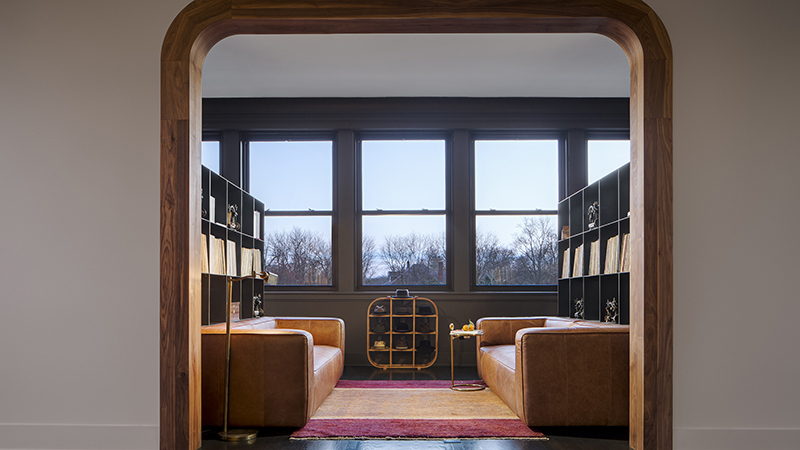 If this year’s American Institute of Architectsannual awards for “interior architecture” are a telling indication, they are relatively subdued. Four of the nine involve efforts to reveal or restore elements of historic structures. None of them looks particularly daring, in the Gehry or Hadid sense. But their level of design quality is impressive and instructive. 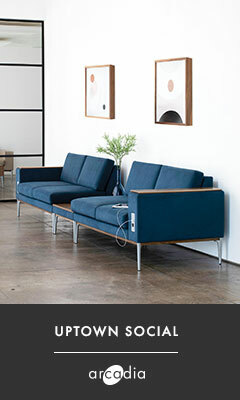 A very significant part of all interior design is, of course, carried out within architectural firms. 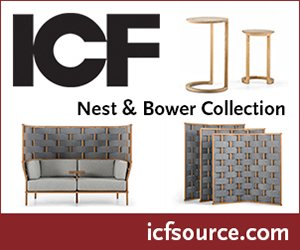 Back to the days of Frank Lloyd Wright and McKim Mead & White – probably back to prehistory – those who designed the buildings were intent on producing a total work of architecture, down to the finest details and furnishings. It’s also apparent that firms with strong, well established interiors departments win a significant proportion of these awards. 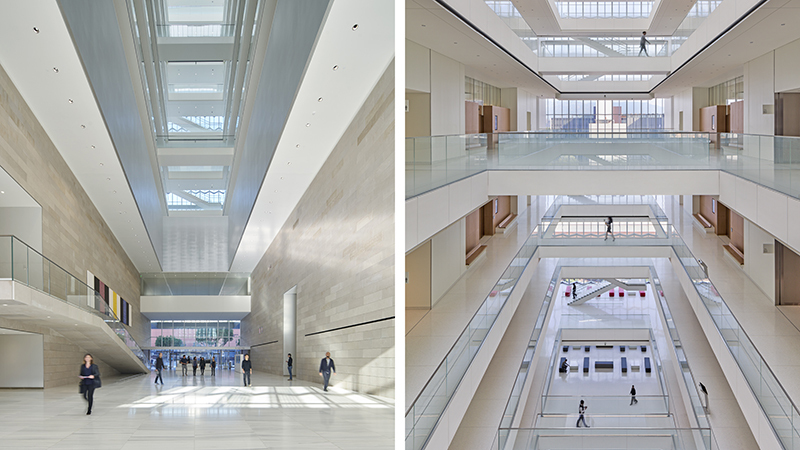 This year Skidmore Owings & Merrill and Gensler are credited with two awards each. And now for the winners! 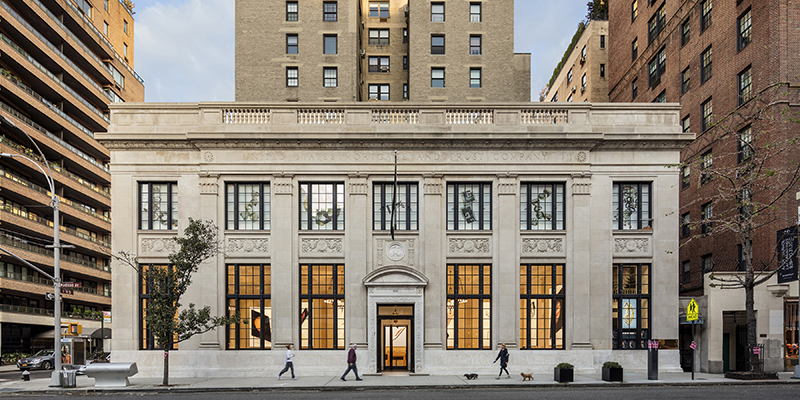 The setting is an elegant Classical Revival building erected on Madison Avenue in 1922 for U.S. Mortgage and Trust Company. The “airy stateliness” of its original interior had been undone by decades of carelessly inserted partitions, hung ceilings, and other encumbrances. 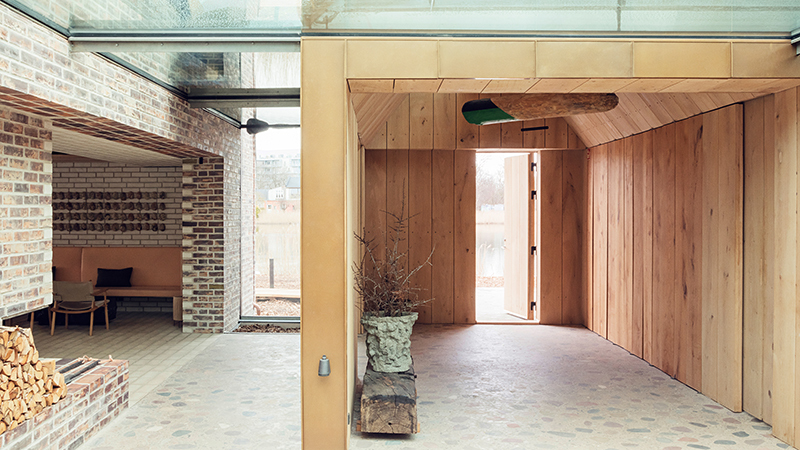 One design objective was to restore and reconstruct key details. New chandeliers essential to regaining that “stateliness” were designed based on none-to-clear period photographs. 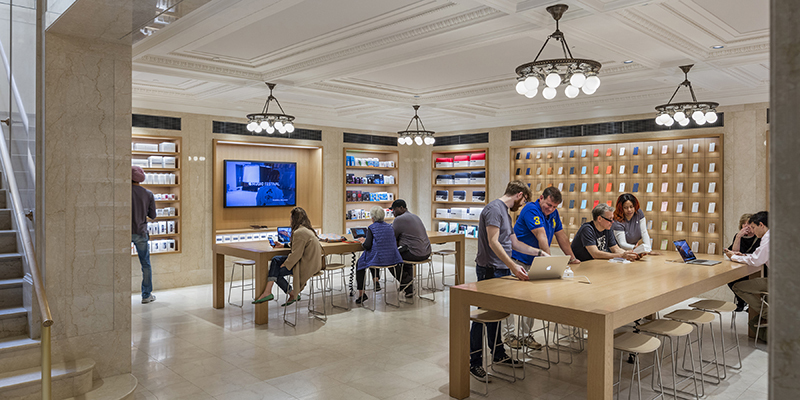 The low-ceilinged basement space, its area required for Apple’s operations here, was cleared of a warren of cubbyholes and vaults and redesigned as a scaled-down counterpart of the lofty main floor. 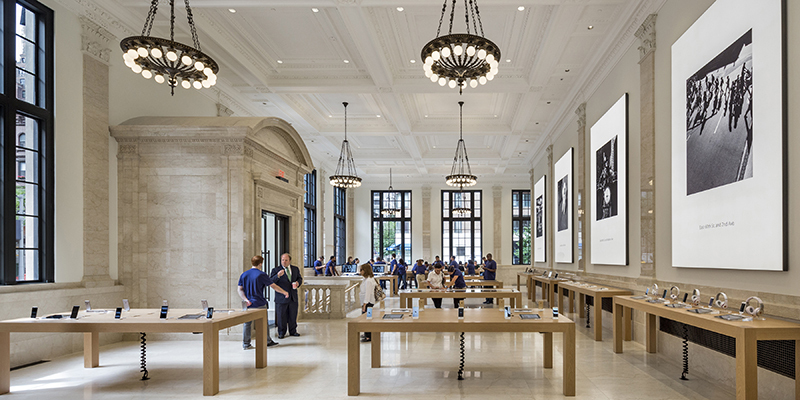 Novelty was not an objective for the furnishings installed here, but rather adherence to the design vocabulary maintained by these architects in 70 Apple stores all over the world – some in new glassy buildings they designed, many in restored structures (including the first New York Apple store they designed back in 2001, in a former post office on Spring Street). 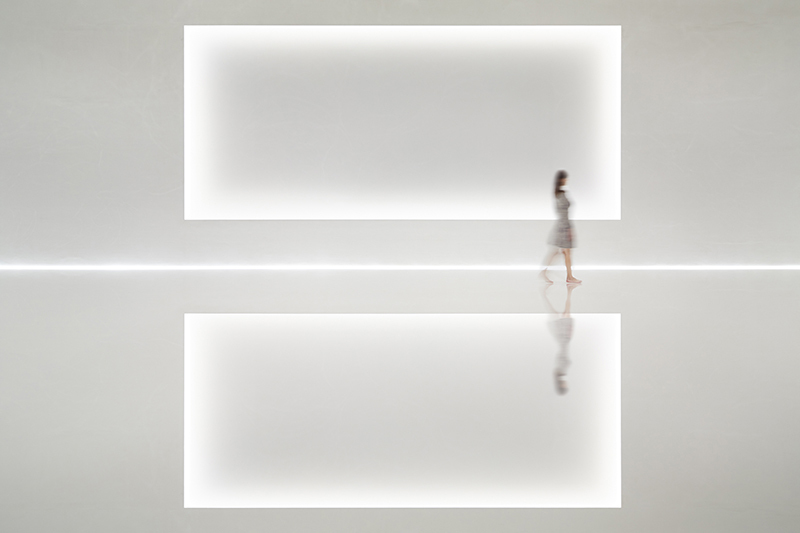 The sturdy tables of light-finished hardwood and the large-scale digital images wall-mounted as if in a gallery, were givens. 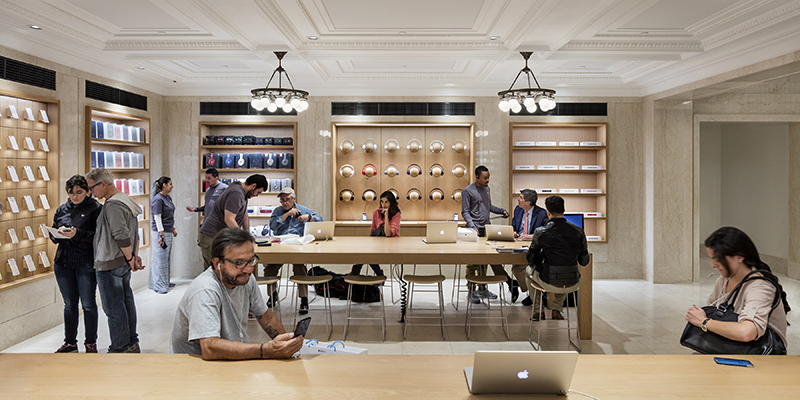 The recognition of this interior is particularly timely, since Apple has now decided to entrust the design of its stores to the London-based firm Foster + Partners, which designed Apple’s new corporate headquarters in Cupertino, CA. 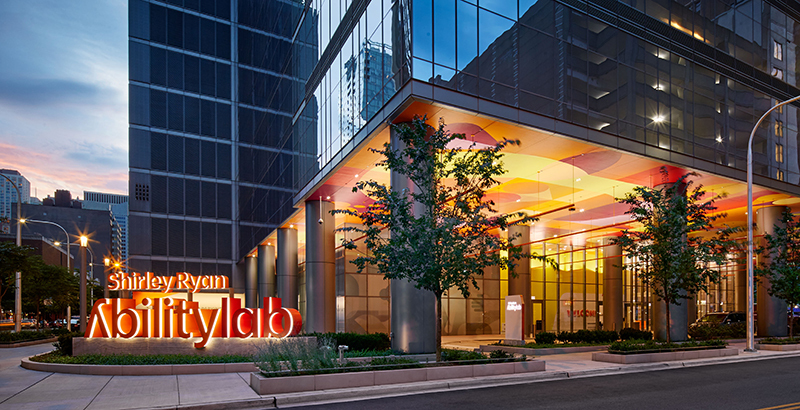 Located in a 15-story condo building, this architecture firm’s offices replace “a shabby warren of small rooms with lay-in ceiling tiles and permanently closed miniblinds.” The objective was both to provide a congenial environment for the firm itself and to display the admirable design skills demonstrated as well in its numerous, mainly residential commissions. 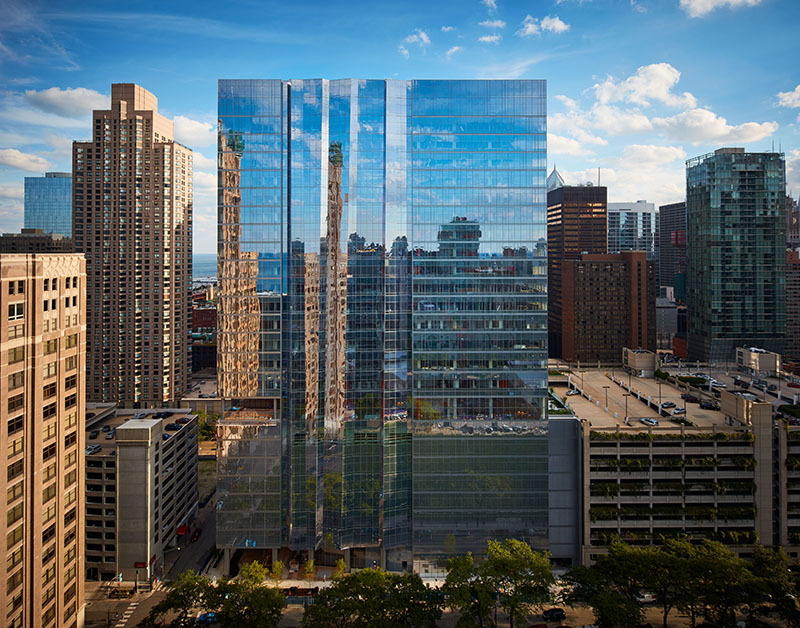 The new 6,250 square foot meeting space for this financial enterprise revitalizes an existing double-height space in its office tower. Charged with providing outstanding lighting and acoustics, with state-of-the-art technology, the designers were otherwise given free reign. 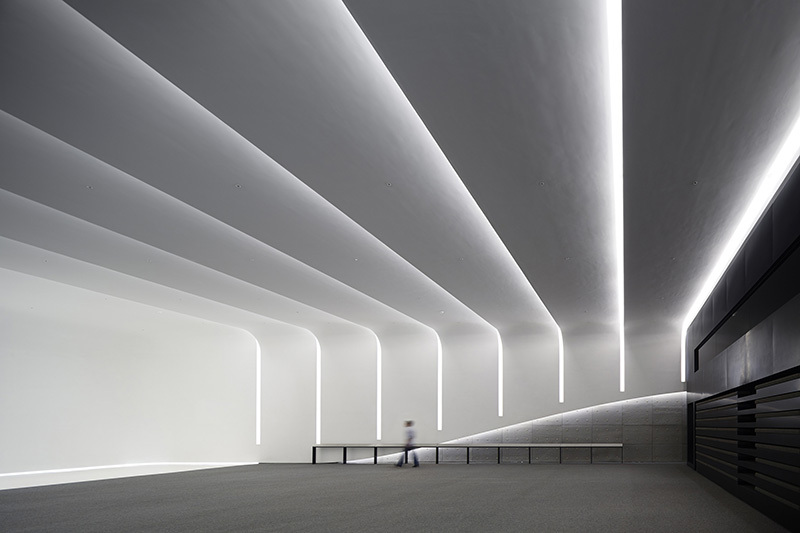 The result straddles the boundary between architecture and art, challenging users’ perceptions of materials, light and space. 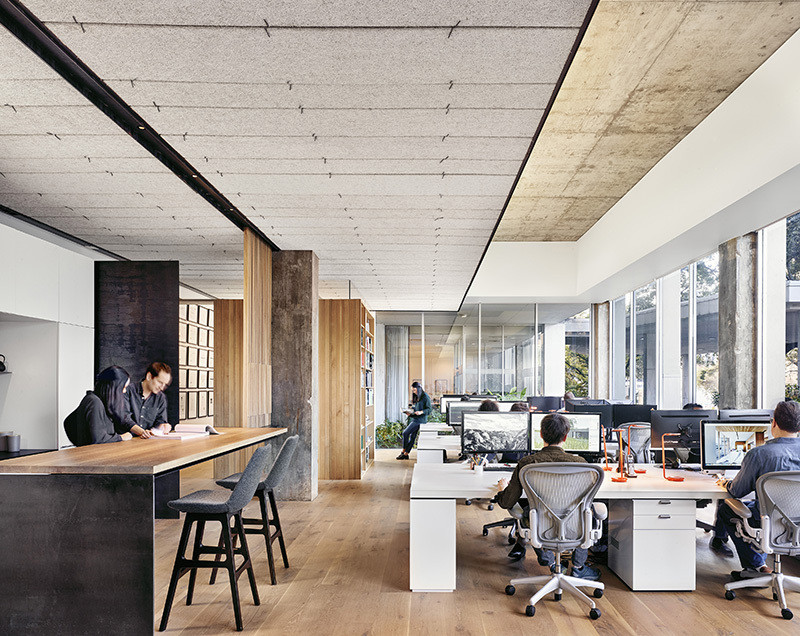 Inspired by the West Coast Light and Space movement of the 1960s and 1970s, the architects devised a molded plaster shell that accommodates lighting and conceals exacting acoustical treatment. 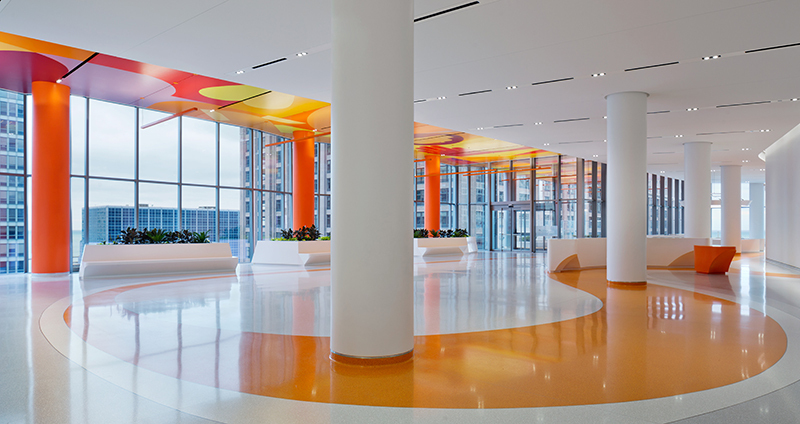 The combined effect of cove lighting, softly rounded corners, and reflective floors is an impression of space without clear boundaries. Highly flexible seating is provided by bleachers in a double-height steel-clad box, which contains a technologically advanced control room and a secondary presentation room countering the main space with an all-black interior. 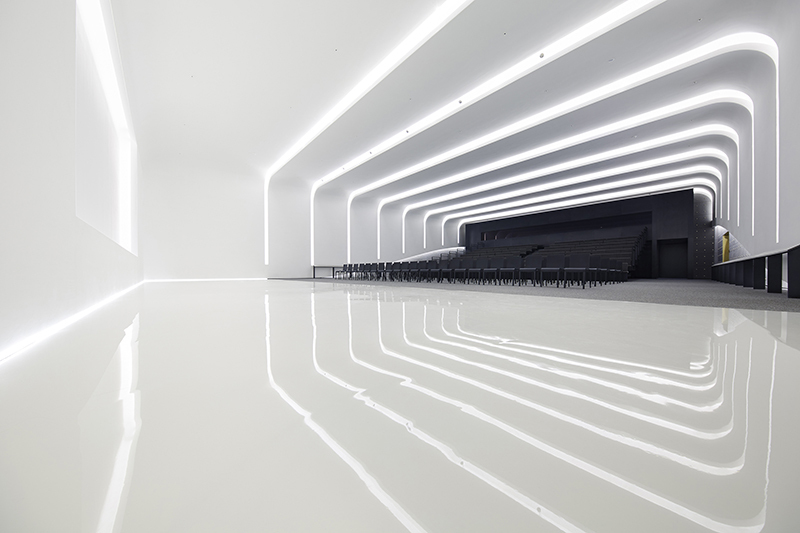 Hyundai Capital Convention Hall. 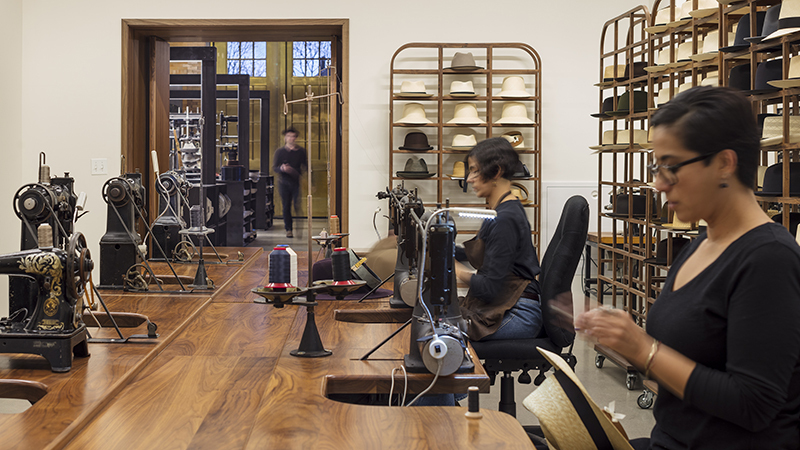 Photography: courtesy of Nacasa & Partners, Inc.
A 100-year-old decommissioned firehouse, a landmark of the city’s Beverly neighborhood, has been restored for use by Optimo, a producer of handmade hats with an international following. The dilapidated property, stripped of all plumbing and electrical lines, was obtained from the city for a mere $1. 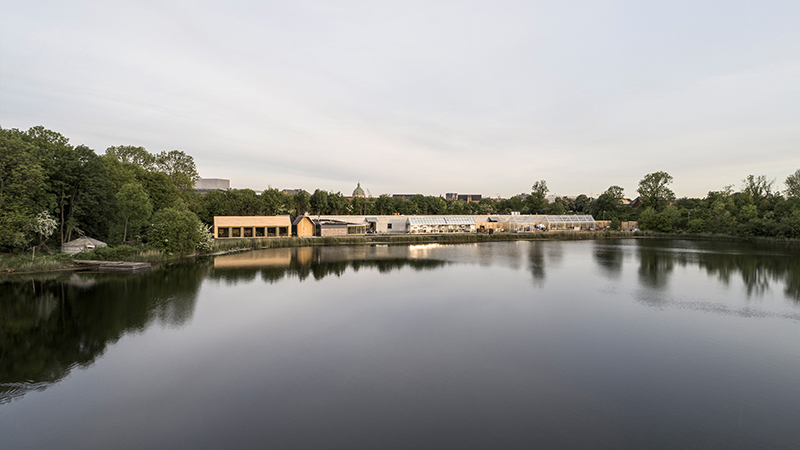 Providing the company with urgently needed operating space, the reuse of this structure also represents its commitment to local hiring and training. 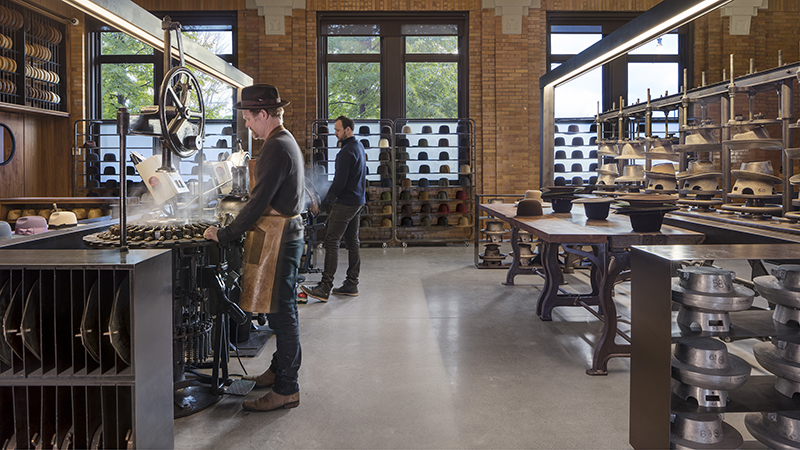 The 7,700 square feet of interior now accommodates manufacturing on the first floor, a design studio on the second, and offices on the third. 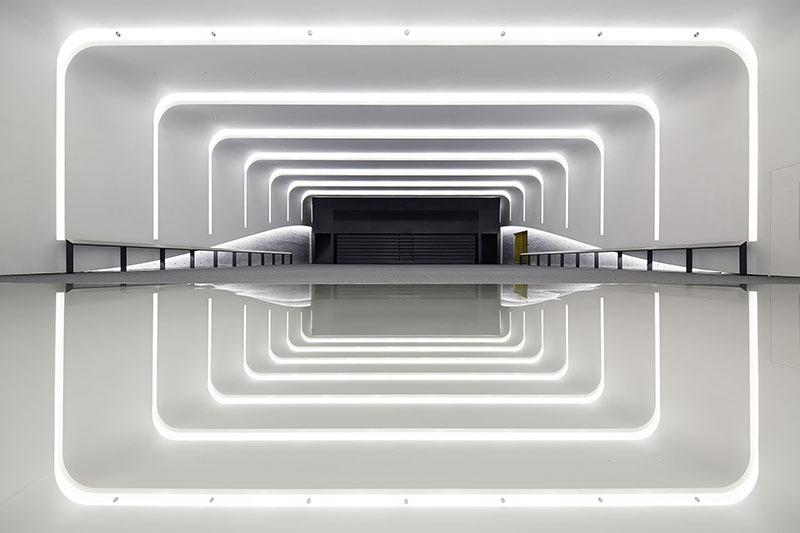 For the first level, the interior design responds to the demands of the company’s specialized manufacturing equipment and the exceptional electrical, steam and compressed air services it requires, while ensuring a healthful workplace. 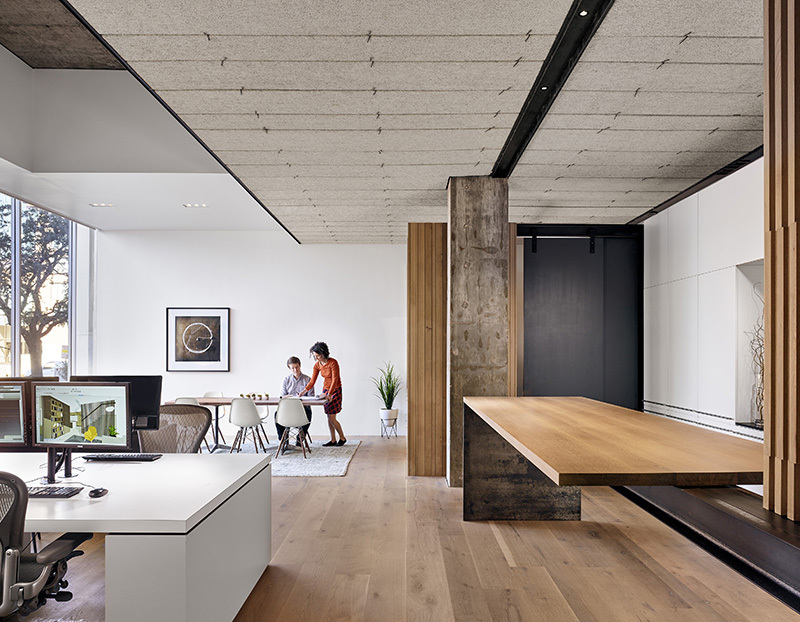 Surfaces include such durable materials as blackened steel, cork and walnut. Preserved remnants of the building’s former use include commemorative plaques, marble from the original showers, and porthole windows filling openings that once led to firemen’s poles. 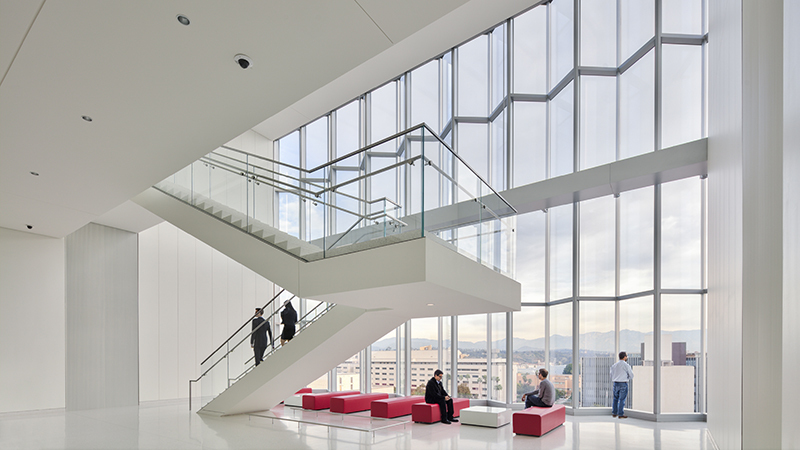 A major destination for people with severe demands for rehabilitation, this 1.2-million square foot facility is intended as a place where “clinicians, scientists, and technologists can work together in shared spaces to discover and apply new approaches to care.” To design such a facility, the institution called on the collaborative design services of the combined HDR / Gensler and Clive Wilkinson (who was recently named Contractmagazine’s 2019 Design Legend; read about in officeinsight). 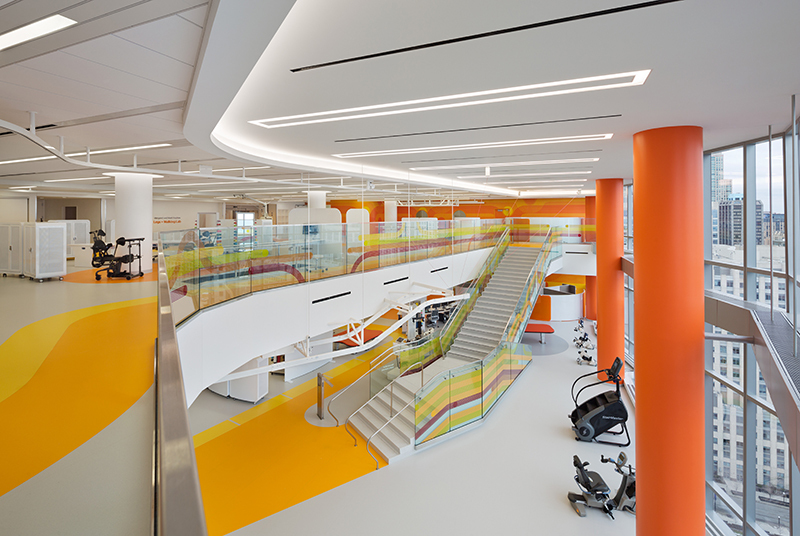 All of the facility’s five ability labs, as well as its applied research and therapeutic spaces, include highly visible areas for working with patients along with private spaces for analysis and planning. 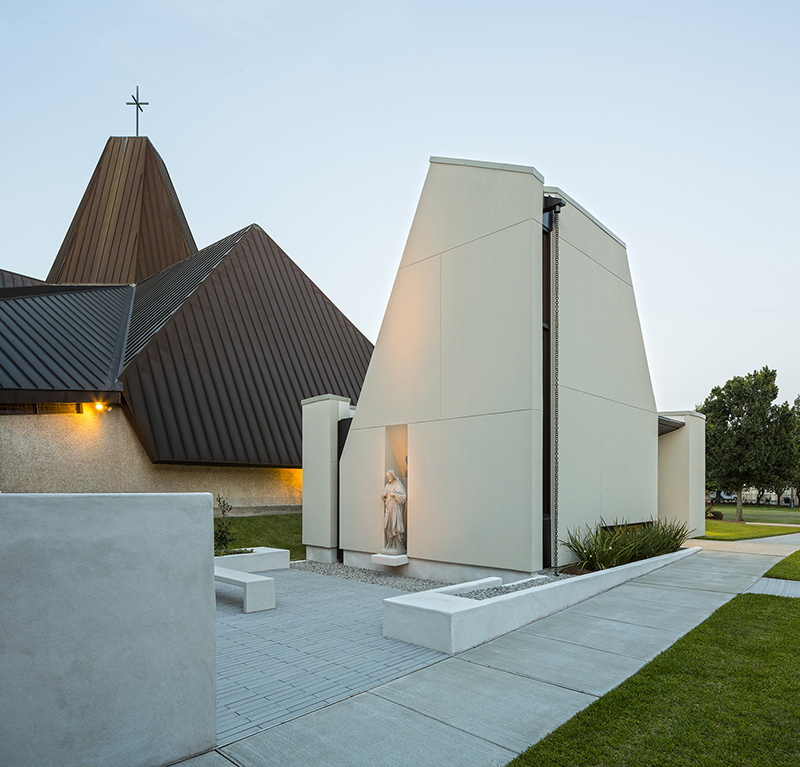 Even given the inner-city location, the design team was able to create a few landscaped outdoor areas, visible from inside, for respite, conversation and conference breakouts. 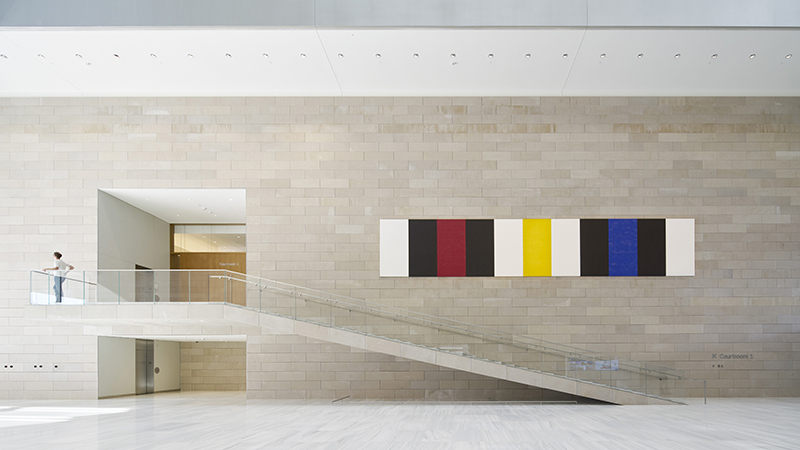 Bold ceiling graphics at the building’s entry, in its tenth-floor sky lobby, and numerous other locations reinforce the institution’s identity. 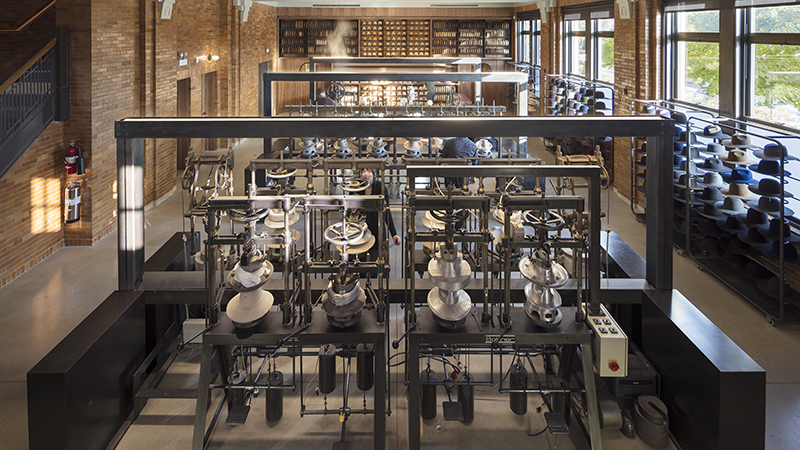 For the new lakeside home of a world-famous, Michelin-two-star restaurant, the originally Danish design firm (now with a second headquarters in New York) combined a sense of modernity with allusions to traditional Scandinavian materials and techniques. The architects’ collaboration with Noma extends back to the restaurant’s opening 14 years ago, so its needs here were readily understood. Emphasis in the design of the building and interiors was on making guests and staff feel “at home and connected to the nature surrounding them.” From their panoptic service kitchen, the chefs can see into every corner, while guests can view what is happening inside traditionally closed kitchens. 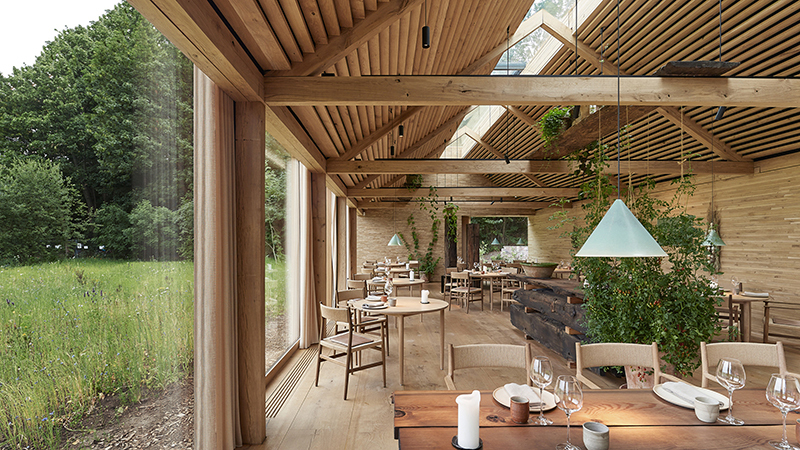 The restaurant’s eleven distinct spaces are linked by glass-enclosed passages, helping staff and guest maintain an awareness of daylight and weather. 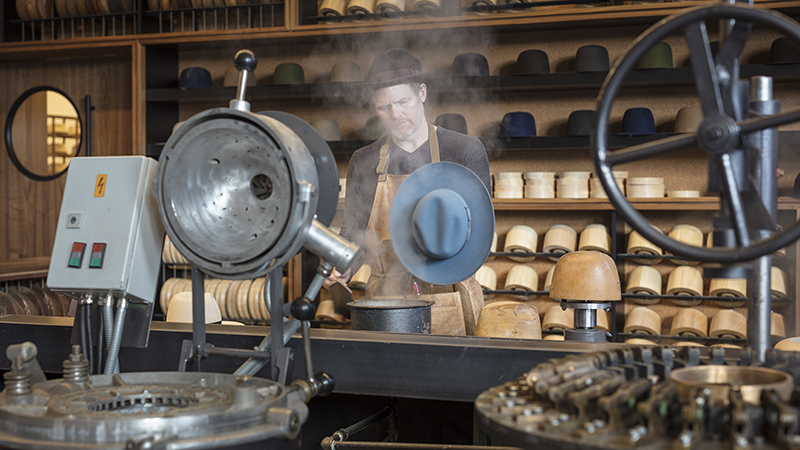 Like the restaurant’s ingredients, all materials are locally sourced. 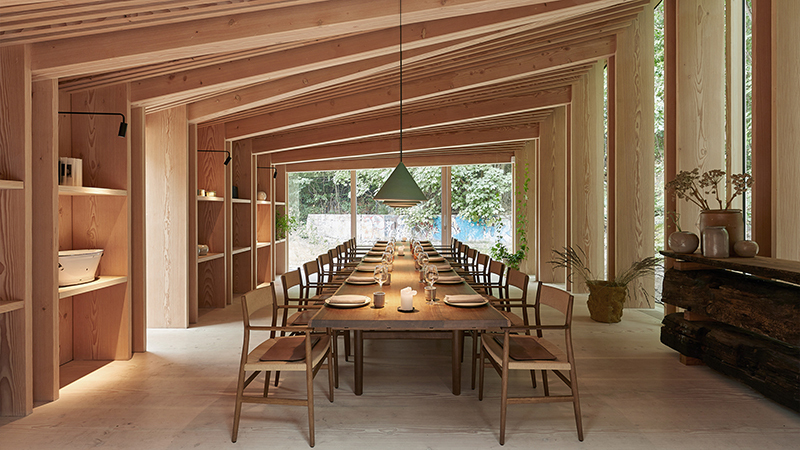 The 40-seat main dining room and adjacent private dining area are enclosed with planks that evoke an orderly lumberyard. A barbecue area has the feeling of a giant hut, and a lounge enclosed entirely with brick recalls a traditional fireplace alcove. 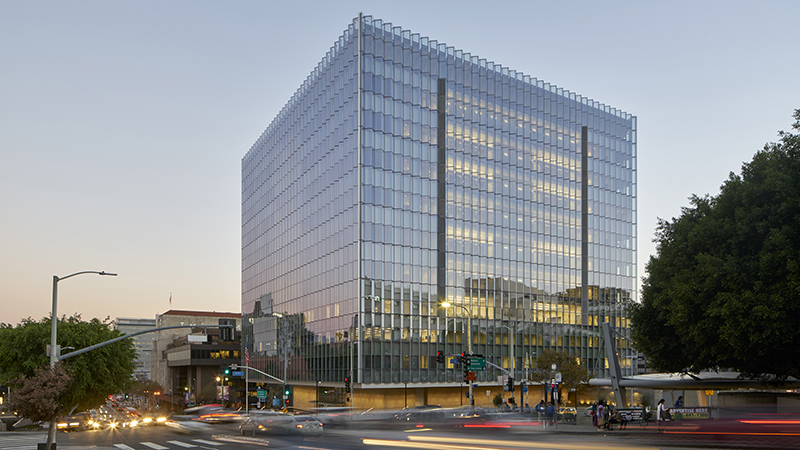 A new structure on a prominent block in downtown L.A., the building provides the enhanced security and sustainability required of today’s Federal buildings. Housing 24 courtrooms and 32 judicial chambers, its layout is dictated in crucial part by the need for separate circulation paths – horizontally and vertically – for judges and their staffs, for detainees, and for the public. 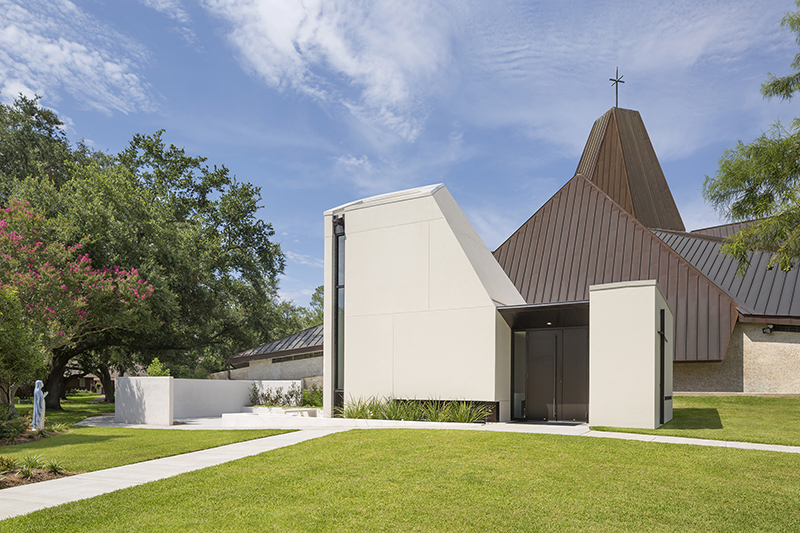 Durable materials such as limestone, marble and oak are used throughout. 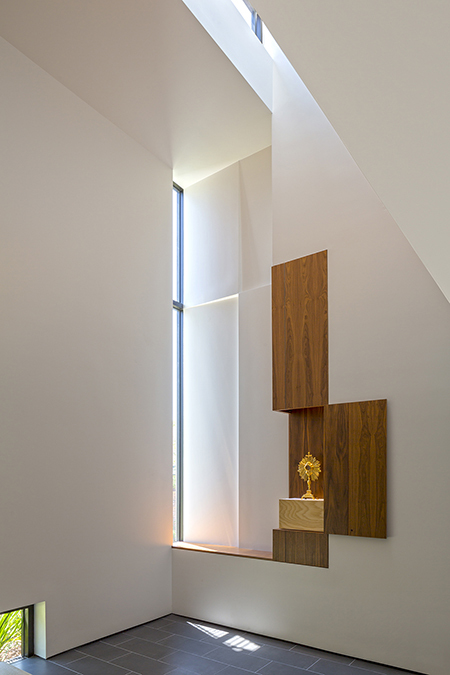 The light palette of surfaces and furnishings maximized the effectiveness of the interior’s natural light. 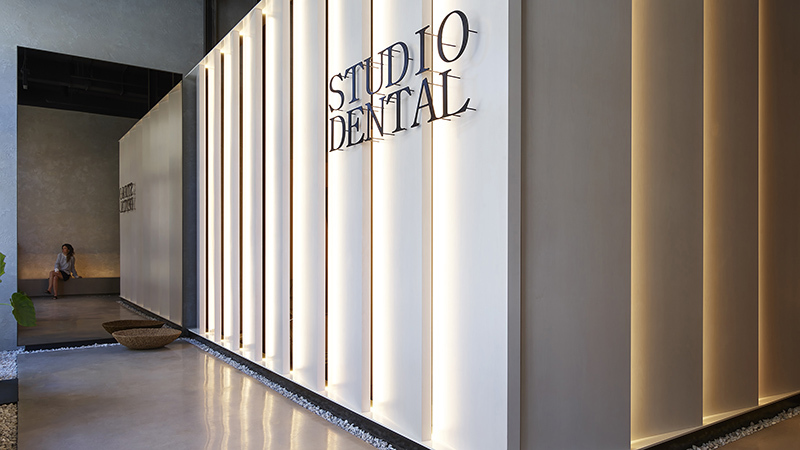 Located in the city’s Tenderloin district, this office houses a dental practice that previously served the community via a mobile office. 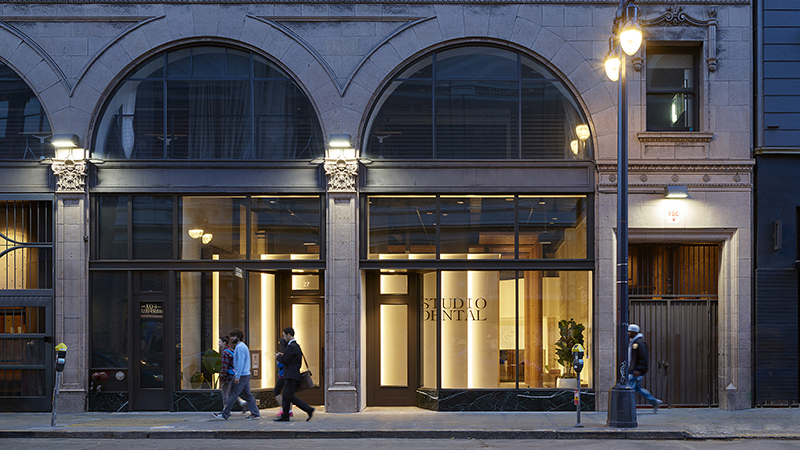 Inside the carefully restored street front of a historic building, it is designed to apparently emanate light from a “conceptual lantern” at the space’s core, brightening the street as well as the office itself. 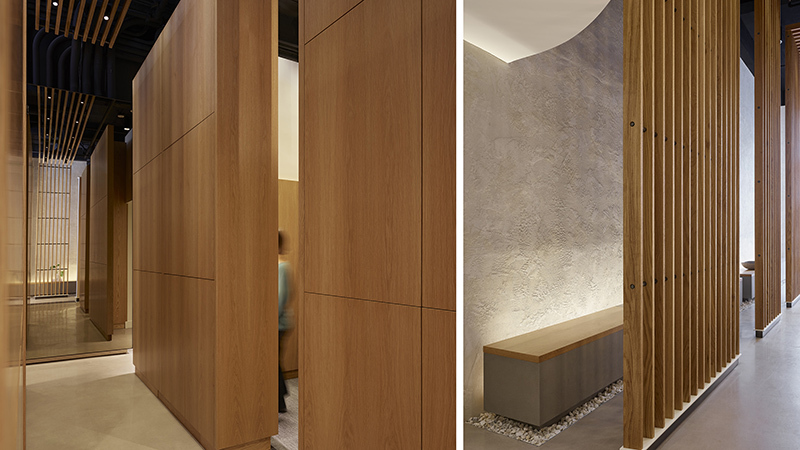 In lieu of a waiting room, a park-like bench runs the length of the interior, separated from procedure areas by a wood trellis. 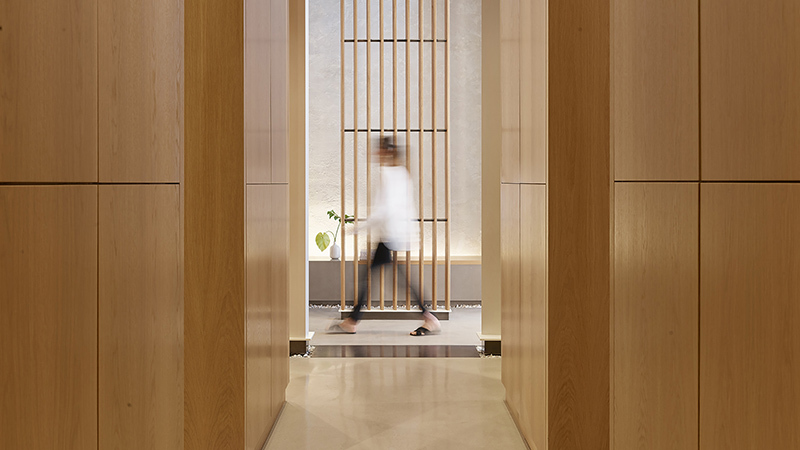 The design features bold material contrasts between rough surfaces of the building shell, smoked mirror panels, and maple “monoliths” that contain storage and mark entries to patient rooms. A mezzanine accommodates additional storage and staff offices. 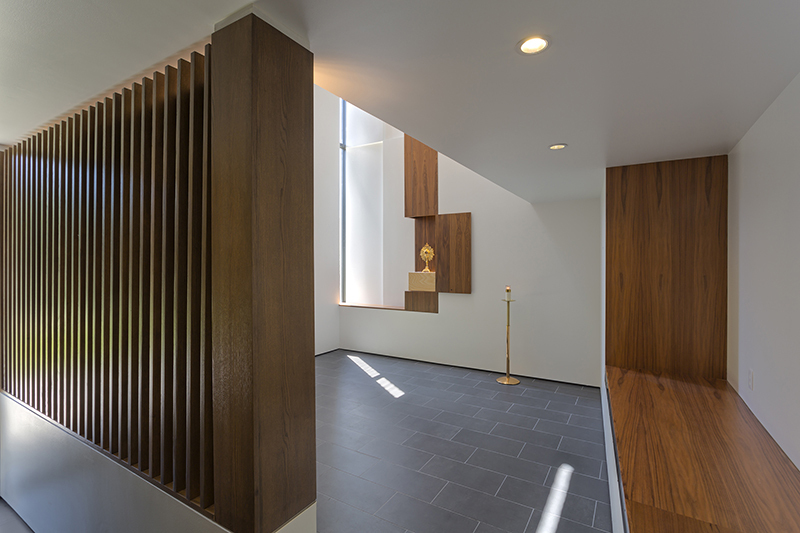 One enters the chapel through a small vestibule, separated from the main church by a slatted wood screen. 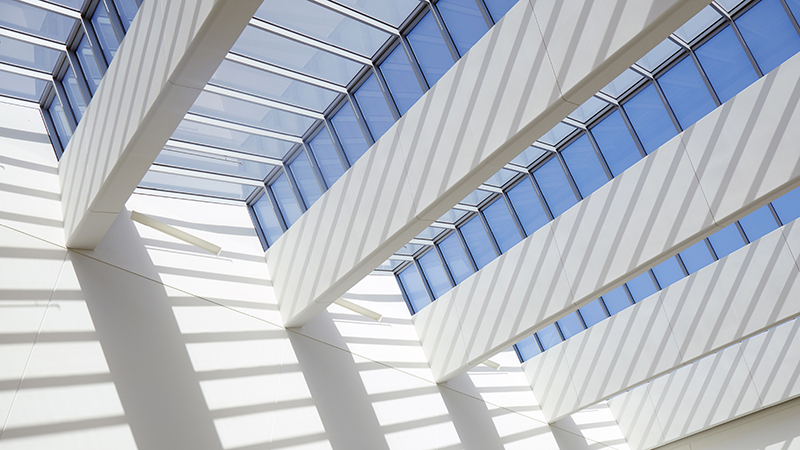 Three different linear windows admit natural light, illuminating its white planes throughout the day. 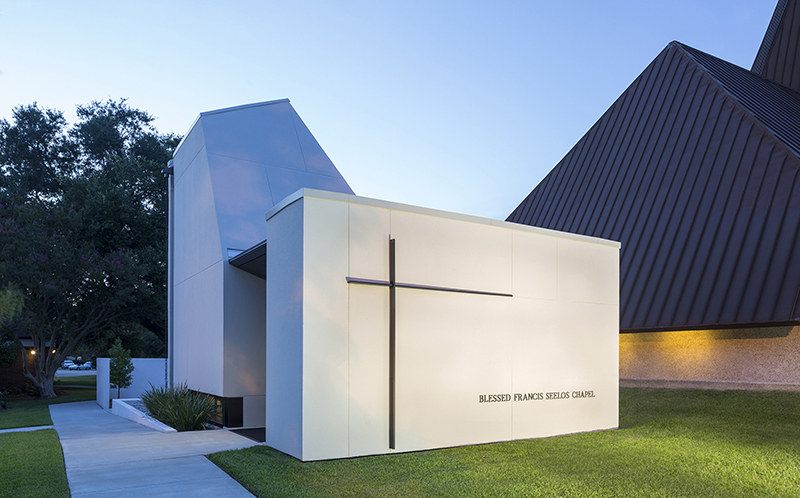 “Strategic tweaks” in one wall create an “daylit expression of the Christian cross.” A prayer garden developed in connection with the chapel fills an additional function by collecting and diverting rainwater to ease demands on the city’s drainage system.